This article is sourced from the website Deep Green Permaculture, whose author Angelo Eliades is presenter, trainer and writer in the areas of sustainable gardening and Permaculture. 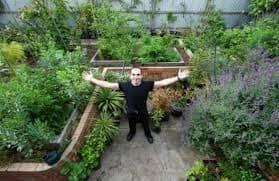 He is a passionate forest gardening advocate, and has a thriving demonstration Permaculture food forest garden in Melbourne’s inner northern suburbs which he regularly opens to the public. His garden won the Darebin Sustainability Award – House & Garden category in 2013, and was featured in the prestigious Open Gardens Australia event in 2014 and 2015. Here is an introduction to the gardening technique of Backyard Orchard Culture – a system of high density planting of fruit trees which allows for a wide variety of fruit to be grown in a limited space, and harvested over a prolonged period of time. 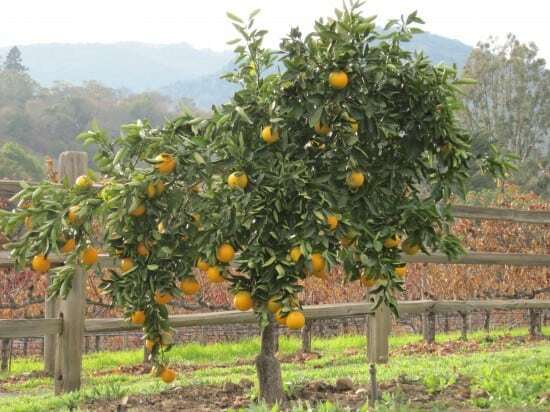 Now, if we look at a farmer’s requirements, the aim is to get the highest possible yield per tree, for a single variety of fruit, so, for this reason, they will grow many identical full sized fruit trees. The trees will be 15-30 feet high and almost as wide, and will be expected to produce something like 200-300kg of fruit per tree, all at once, over a very short period.